In this era, a business that wishes to grow customer awareness and profits requires a strong social media presence. Marketing, brand recognition and sales are now heavily focused on building identities on social networking sites (SNS). Traditional advertising and marketing channels such as print and television are still effective in marketing. However, the impact of social media marketing and sales is vastly significant. A recent study by Hubspot revealed that 92% of marketers found social network marketing important. Also, 80% of them claimed that the sites increased traffic to their websites. Businesses are now tailoring their marketing and sales practices to adapt to social networking sites as well. According to Techopedia, a social networking website is an online platform that allows users to create a public profile and interact with other users on the website. A social networking site may also be known as a social website or a social networking website. To put it simply, social networking is a means for people to connect with other people digitally. Social networking sites enable people to exchange ideas, share pictures, videos, play games, install apps, and express their opinions. 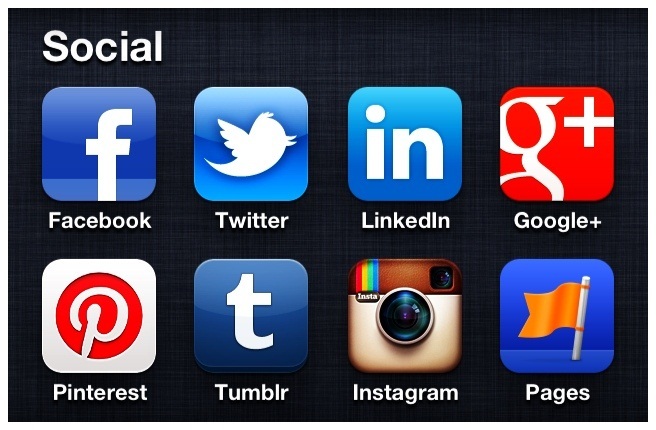 Popular social networks include Facebook (FB), Twitter, LinkedIn, Flickr, Instagram, and Pinterest. There are different types of social networking websites ranging from casual socializing to academic platforms, business promotion and cultural subsets. The ability to connect with potential consumers, build a relationship with them, and establish credibility are the most attractive features of social media marketing. In addition, you can do all this while also finding out the top franchise rankings for your own personal pleasure. A wisitech article says that with the right strategy, social networks are able to generate sizable revenues. The marketing strategy should be able to reach the right audience with relevant content while promoting the brand. When the marketing is effective, the audience spreads the information to similar people, enabling further brand promotion. Forbes also identifies the benefits of social marketing in a similar piece. Better brand recognition, brand loyalty and conversion opportunities are just some of the advantages of social network marketing. More so, social networking sites allow for the humanization of brands and decreased marketing costs. Although there are several advantages to SNS marketing, it can be highly ineffective if not used properly. An ANZ bizhub article points out that the business needs to clearly identify its goals to achieve from the social network marketing. If the social marketing strategy is unclear about its target audience, content of the posts and measuring efficiency, the effort will fall short of the goal. The business also needs to set up a proper measuring tool to gauge audience reach. Social networking sites like LinkedIn and Twitter provide analytic tools to measure reach based on objectives. When a business finds that their marketing is not achieving set goals after significant effort, it might be time to consider other options. Where Did Social Networking Start? Of course, as with everything else in the world, there is some debate regarding the answer to this question. However, most regular people would agree that social media networking started with AOL. Remember the golden days of America Online? There was even a movie that showed us how social networking all began with AOL. You may remember it … You’ve Got Mail. While this cheesy romantic flick is certainly not what people think of when thinking of networking online, it does show how AOL really helped to form connections using the internet. Between AOL chatrooms, instant messaging features and email services, this company really did start the trend for making connections online way before Instagram marketing was even a possibility. Where is social media heading in the future? Well, the most imminent of all the recent social media developments is the presence of wearable tech gadgets. These wearable smart devices make social media even more accessible than ever. That means there are soon to be huge opportunities for wearable tech to create new social media experiences. Unfortunately, we will just have to wait and see the real life impact wearable smart devices have on social media in the future. A business owner can effectively use social networking sites to understand the strategies of competitor’s businesses, interact directly with the target audience and gain relevant information for better market strategy. Social media can also make non-profit management an easier task for these same reasons. At the same time, posting too many messages, commenting on political or sensitive issues or sub standard posts can be counter productive. Social networking sites are only effective for marketing when a business clearly understands how to best use the medium.